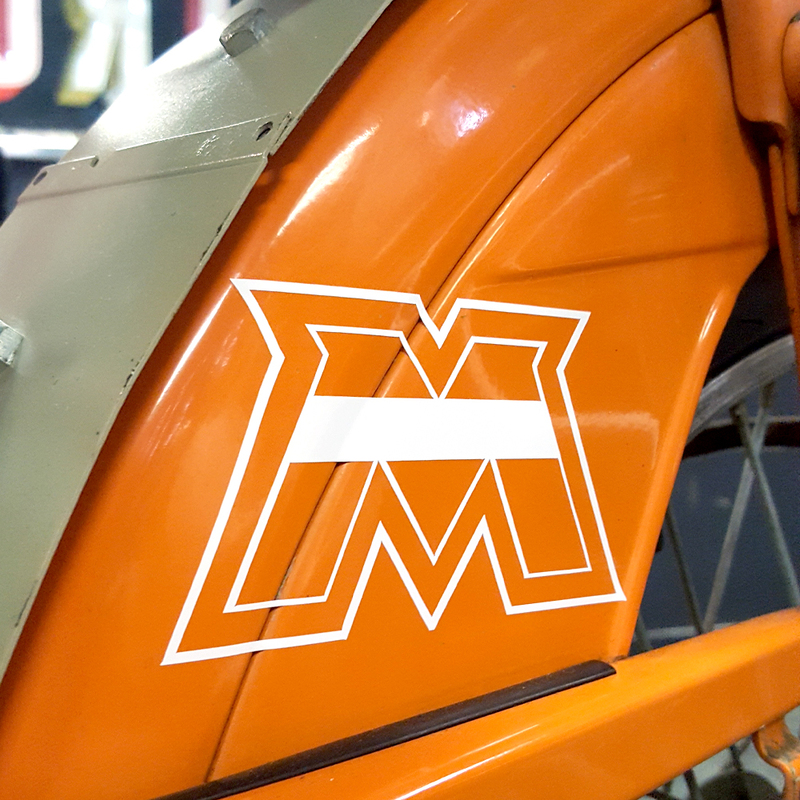 This Motobecane decal is a reproduction based on the capital M logo. It's made with custom die cut vinyl in your choice of white or black. Decal measures 4″ wide, 2.25″ tall. Made in house at Detroit Moped Works. Be sure to clean the surface before applying this decal for optimal sticking!